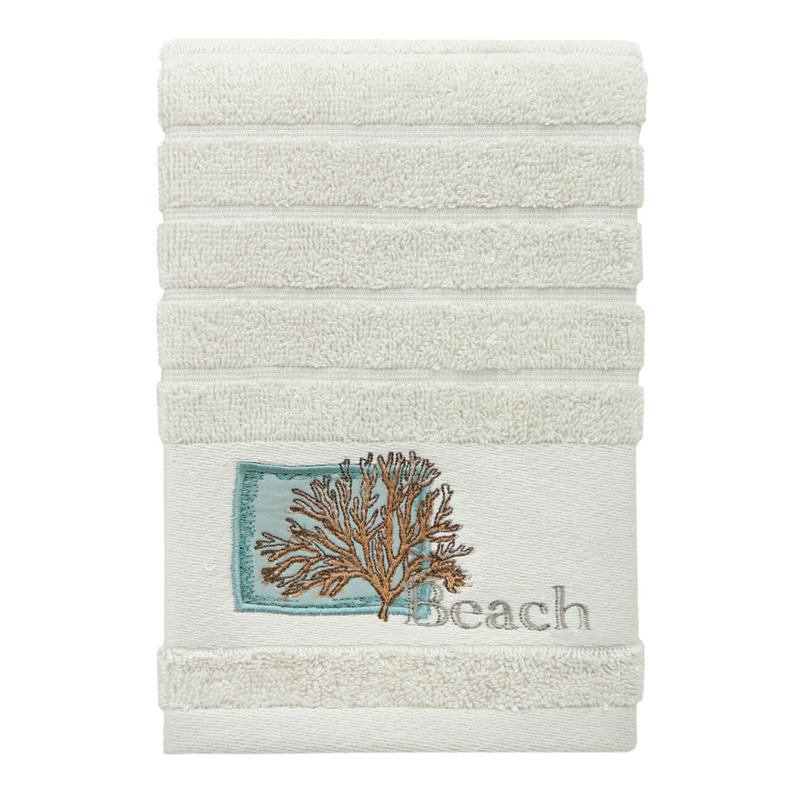 Accent your seaside bathroom with the Beach Life Fingertip Towel. These beach-themed towels feature orange coral and "Beach" embroidery on an aqua applique for a beautiful addition to your home. For further items, we invite you to take a moment to shop our extensive selection of beach-themed towels at Bella Coastal Decor today.